Another thing I own far more of than is practical, but have a hard time resisting is cute baby shoes. Especially when they are for little men, like these by Aurelia and Annalise. Oh, my goodness! 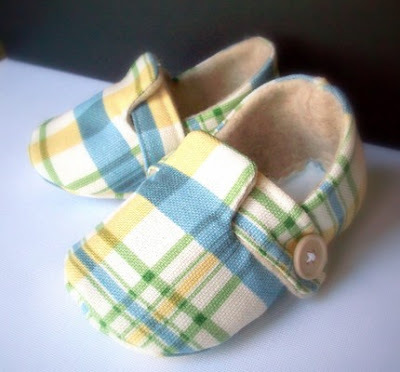 Those are the sweetest little spring shoes I've even seen for little boys.